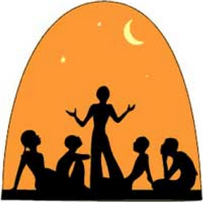 Storylingo is the coaching program Paul uses to help learners connect with audiences in English. It is ideal for those who need to master job interviews and presentations. It is divided into 3 phases. It all starts with two simple questions. Who's your audience? and What's your message? Paul will ask you to define your Key Communication Goals, or #KeyCommns as they are called in this program. Each one of your #KeyComms becomes a single immersive language unit. During this unit, Paul will coach you on becoming familiar with the #EnglishInContext. This refers to the frequently-used language, structures and speaking patterns of that particular topic. In order to identify those elements, it is necessary to see how other English speakers talk about your topic in the same context. —and taking from that things that will help you deliver your message in the easiest way possible. Mastering your #KeyComm means having a clear idea of what you want to talk about. In this next phase, you learn how to sound like you're speaking instead of writing. This may sound obvious, but the problem most English learners have is that they learned English as a writing language, not as a conversational language. 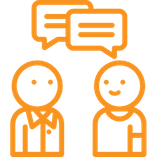 However, sounding conversational is crucial because it is the style used today for most business communication. To fill the gap, Paul will coach you on how to master #EnglishTalk —the art of English conversation. That means you will learn to deliver your message, but speaking naturally instead sounding like a Wikipedia page. The idea is to sound like a TED Talk speaker, who is cool and professional with the topic, yet involved in an engaging conversation with the audience. In #EnglishTalk, Paul will teach you to distinguish between message language and support language. You will also learn to incorporate solid listening skills and to grasp the essence of body language. The ultimate goal of this phase is to be able to deliver the key ideas of your #KeyComm in the most natural way possible for your audience. You are ready to learn to deliver your message in the most effective format of all times —storytelling. This is the critical skill that changes your game and gives you the ability to deliver engaging business communication. As we know from neuroscience, stories are the language of the brain and as such, audiences resonate more with stories than they do with a similar presentations based solely on facts and figures. In this final phase, I will teach how effective stories are structured and how to structure your message as a powerful story in English, using the relevant data you need to get across to your audience. 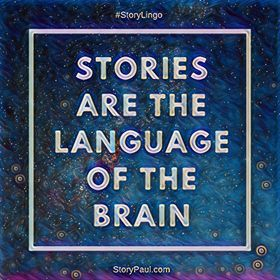 #Storylingo is all about connecting with audiences in English via storytelling. Storytelling is the key to success in job interviews and presentations. Here is an article Paul shared on his blog and on LinkedIn about the power of storytelling in business communication for English learners. A deck of cards that we use in Phase 3 of Storylingo that outlines the 10 beats that every story must have. This simple tool helps students organize their business message in the way of a story.